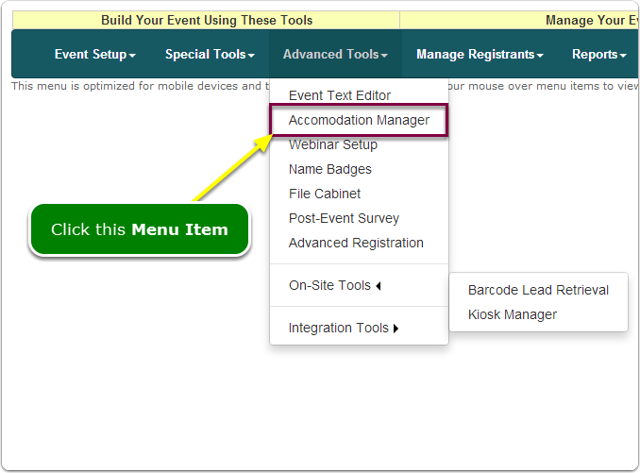 Help Documents - Version 5 Accomodation ManagerWhere do I access the Accommodations tool? Prev: How do I include a "Who's Attending?" link on my registration website? Next: How do I set up Hotel Room Blocks?